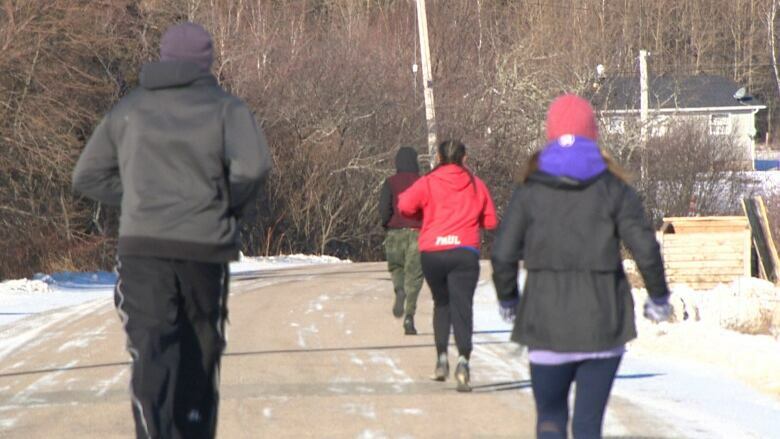 A running group on the Paqtnkek Mi'kmaw Nation near Antigonish, N.S., is helping change the lives of its youth participants. For Grade 9 student Charlie Ashawasegai, every stride helps keep him on the right track. "It takes you down a journey you want to be on and not a bad one where you don't want to be," he said. The club was started by Linda Peters and East Antigonish Education Centre teacher Marsha Purcell. The pair was inspired by the work of Maggie MacDonnell, a Nova Scotian who is known for her teaching work in an Inuit community in northern Quebec. In 2017, MacDonnell won a $1 million US prize for teaching excellence. One of her programs is a running club. "They are building resilience," said Purcell. "They have a new coping strategy and they are being role models." 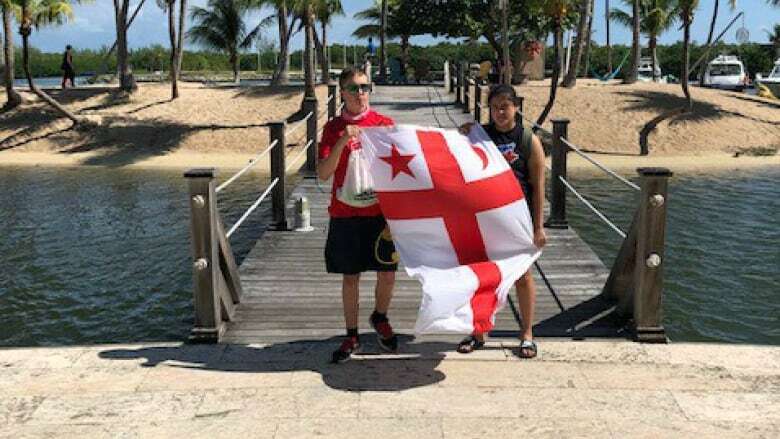 One of the incentives for starting the club is that MacDonnell invited club members to join her in the Cayman Islands last December for a half-marathon with 20 other Indigenous runners from Canada. 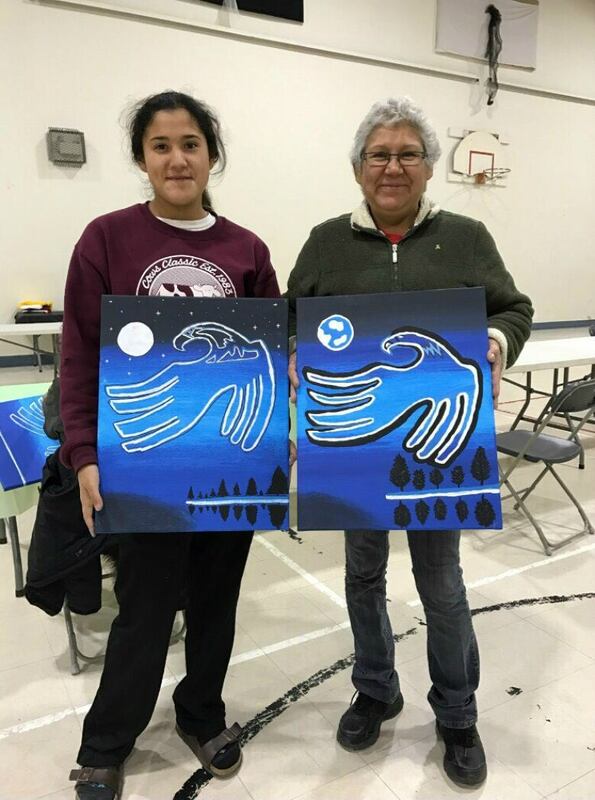 Grade 12 student Haley Paul made the trek from Paqtnkek to the Cayman Islands. She said the race was gruelling and she thought of walking until she heard the race announcer say something. "He said your body is going to want to give up, you're going to want to give up," Paul said. "But it's all your mind telling you you can't do it. But if you push through you can show how strong you really are. And that's what kept me going." Running has been an important outlet for Paul. Her mother died last February. "I'd been under a lot of stress," said Paul. April Prosper is the support worker for Indigenous students at the East Antigonish Education Centre. She said the club provides participants with much-needed opportunities. "A lot of our youth, they don't have these kind of opportunities," she said. "I'm so grateful they have these kind of opportunities to spread their wings and go out in the world and see what it's like."